Kodi is rarely out of the news these days, and the media center software has become synonymous with piracy. 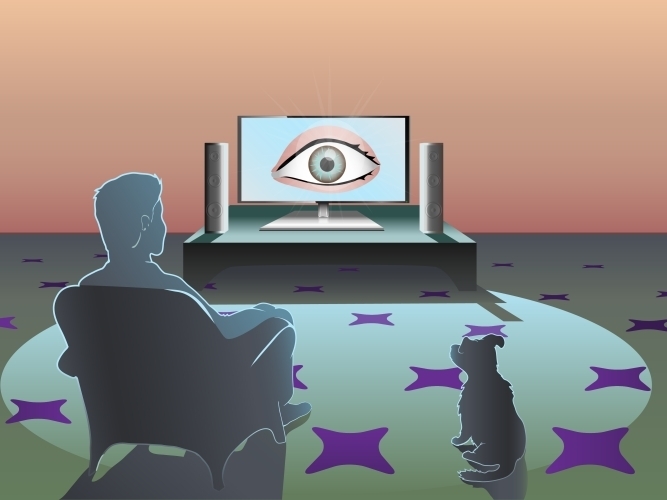 Users who install third-party add-ons that allow them to stream TV shows and movies illegally should be aware that developers could be monitoring their devices, looking for 'infringing' add-ons that facilitate piracy. Worse still, if any of these add-ons are found, a nag screen will appear demanding their removal. New Kodi update arrives -- download it now! 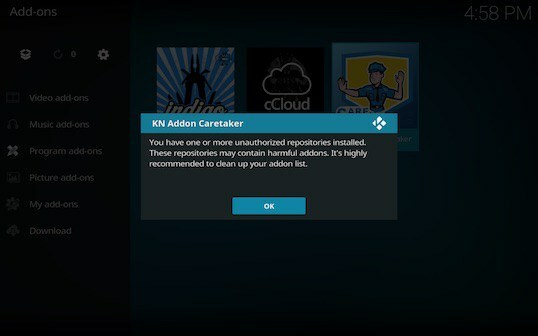 TVAddons reports that German Kodi developer Birger Jesch has created an add-on called KN Addon Caretaker, which checks to see which add-ons a user has installed, and compares these against an online database of infringing add-ons/repositories. If any of these blacklisted items are found, KN Addon Caretaker displays a nag screen that remains visible until the add-on(s) in question are removed. While installing this should be voluntary (perhaps parents using it to ensure their children don’t install anything they shouldn’t), at least two Kodi skin developers have been found pushing KN Addon Caretaker on to systems without users permission. If you have the Estuary MOD V2 or Embuary skin, then you will now automatically have the KN Addon Caretaker installed as well, and should take steps to remove it. This seems like another attack against the add-ons that made Kodi popular in the first place. As abusive lawsuits have began to plague the unofficial Kodi community, we’ve noticed an alarming trend in official Kodi developers attacking the unofficial add-on community, within the official Kodi forums as well as over social media. Many of these attacks are unwarranted considering the fact that once upon a time Kodi itself was home to many of the add-ons which they now claim to hate. We sincerely hope that Kodi will continue to operate based on open source principals, and not allow this trend of vilifying unofficial add-on developers to spread further. We’re all on the same side and all serve the same users. We strongly believe that end users should always have the right to choose, otherwise what’s the point?